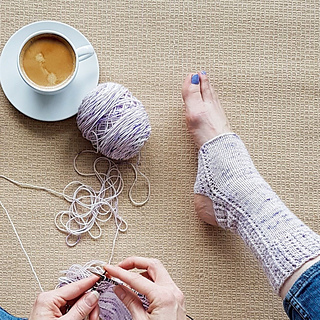 The Orchids Yoga Socks is worked in the round from the top down using magic loop or double pointed needles. 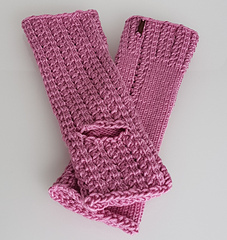 It is an easy and quick knit, worked in stockinette stitch and a three-stitch lace rib pattern that makes it elastic and comfortable. Needle: US size 2,5 / 3mm, 32” / 80cm circular needle. A long circular needle is recommended for magic loop. Alternatively, use double pointed needles. 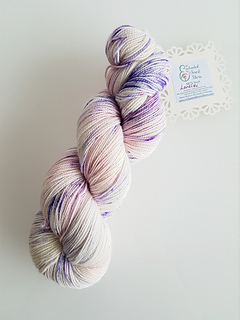 80% Superwash Merino wool, 10% Cashmere, 10% Nylon in the color “Lorelei”, 100g = 400m / 437yds per skein. 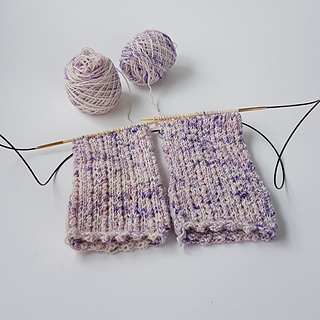 Gauge: 25 sts and 40 rows = 4 x 4” / 10 x 10cm in stockinette stitch in the round. Approximate Final Measurements: Sock circumference 5 (6, 7, 8)“, will fit foot circumference of 6 – 7 (7 – 8, 8 - 9, 9 - 10)”. Notions: 1 stitch marker. Tapestry needle. 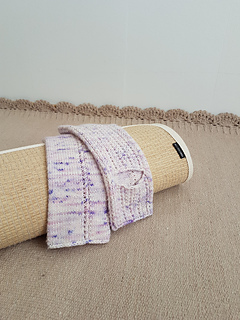 Special thanks to Lisa Beth Houchins for tech edit the “Orchids Yoga Socks” pattern, a huge thank you to my wonderful testing team!